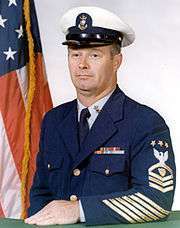 The Master Chief Petty Officer of the Coast Guard (MCPOCG) is a unique non-commissioned rank and position in the United States Coast Guard. 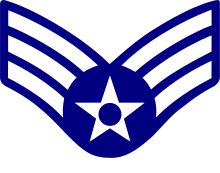 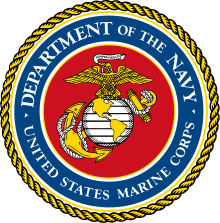 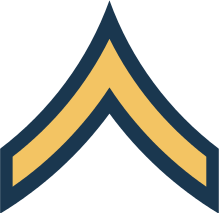 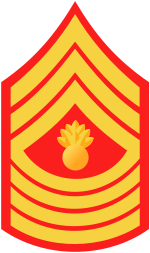 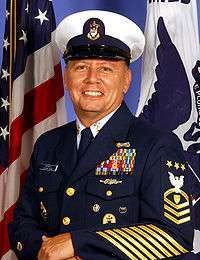 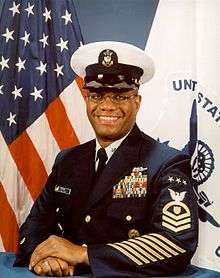 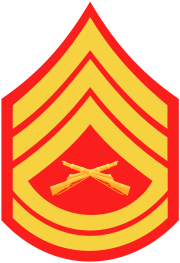 The holder of this rank and post is the senior enlisted member of the U.S. Coast Guard, equivalent to the Master Chief Petty Officer of the Navy, Sergeant Major of the Marine Corps, Sergeant Major of the Army, Chief Master Sergeant of the Air Force, and Senior Enlisted Advisor to the Chairman of the Joint Chiefs of Staff and is considered protocol equivalent to a vice admiral. 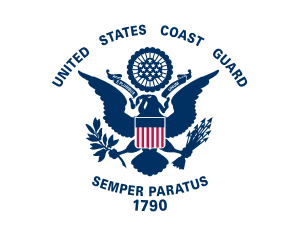 The MCPOCG is appointed by the Commandant of the Coast Guard to serve as a spokesperson to address the issues of enlisted personnel to the highest positions in the Coast Guard. 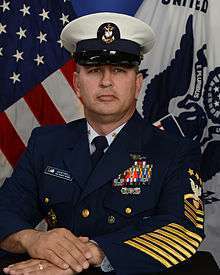 As such the MCPOCG is the senior enlisted advisor to the Commandant of the Coast Guard. 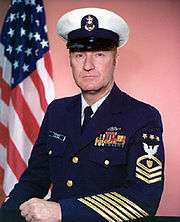 The MCPOCG's exact duties vary, depending on the Commandant, though generally devotes much time traveling throughout the Coast Guard observing training and communicating to sailors and their families. 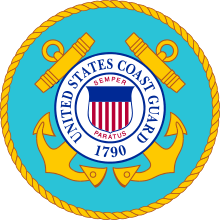 The normal tour of assignment is four years, which runs concurrently with the Commandant of the Coast Guard. 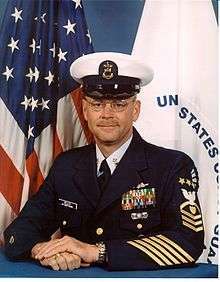 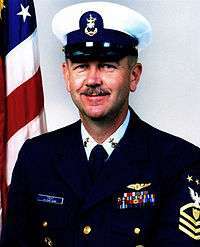 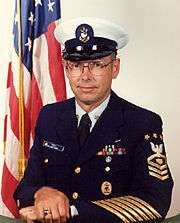 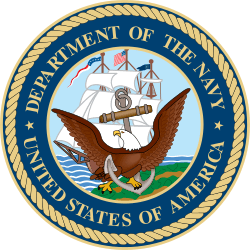 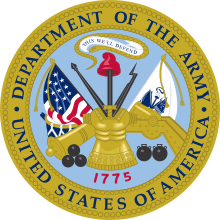 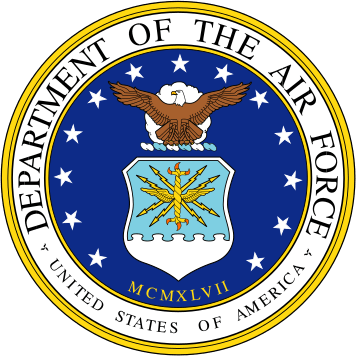 The first member to hold this post was Charles Calhoun, and the current MCPOCG is Steven W. Cantrell.